Step 1: – Search command prompt in Start menu and open it. Step 2: – Type the following command given below. Step 1: – Search netplwiz in start menu search box of windows 10. 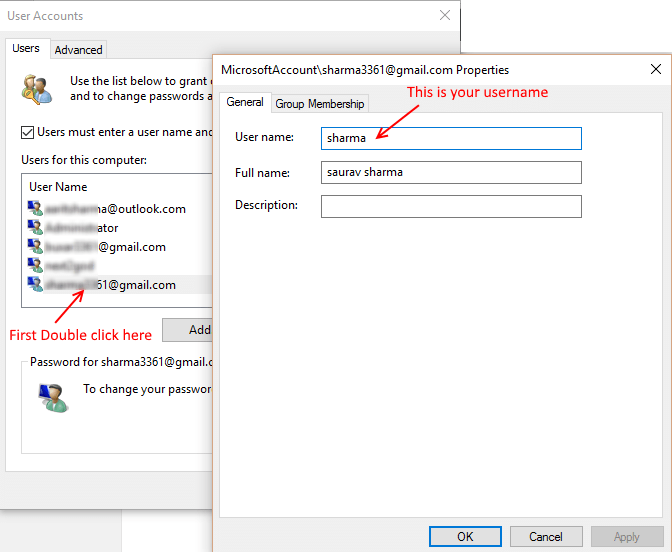 Step 2: – Now, from the list of users, click on the user you want to know the username for.